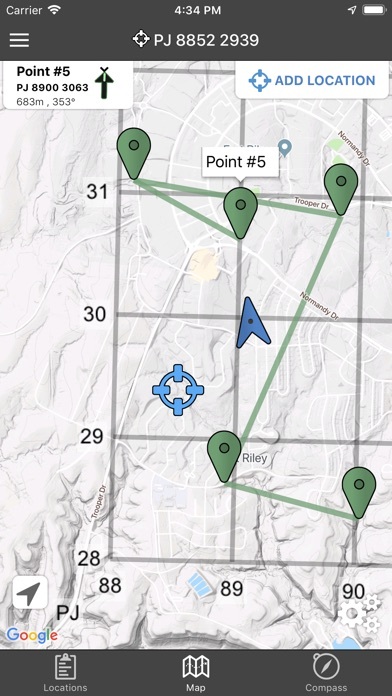 Land Nav Assistant accepts MGRS (Military Grid) or Latitude / Longitude coordinates and visually navigates you to each point. This app was designed with Army, Marine, and other military personnel in mind. Use it to correct your Land Nav technique by analyzing your pace count and tendency to veer left and right. Available Input: 8 digit MGRS, 10 digit MGRS, Lat/Lon decimal, Lat/Lon dms, and map input. Angles: degrees or mils Distance: meters/km or feet/miles Speed: kph or mph Use the simple arrow interface or map to direct you to your locations. Your distance, direction, speed, and bearing are shown as you navigate. 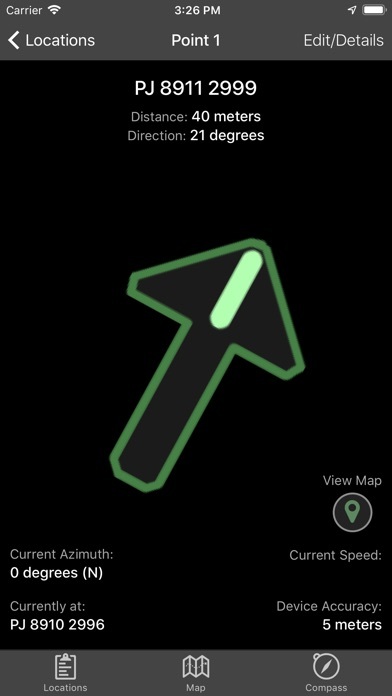 Long-tap anywhere on the map to get the coordinate for that location. Easily add locations via the Map interface. Plan your course by ordering points, or use the course optimization tool which will help you calculate the shortest path possible! Get distance/direction between two points by tapping the path drawn between them. 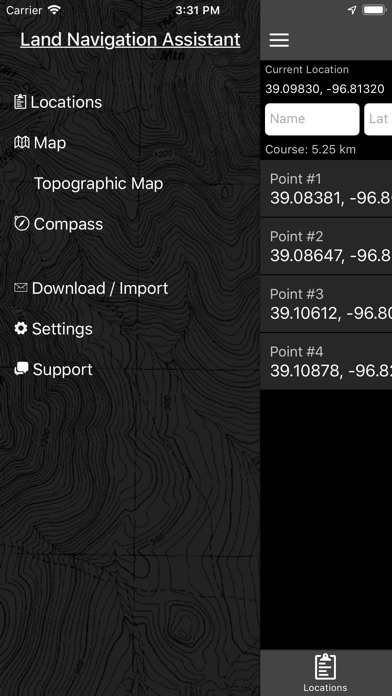 Satellite, Terrain, Road, and basic Topographic maps show you, your locations, and lets you enter in new ones. Overlay a 1000m or 100m MGRS grid anywhere on the map. 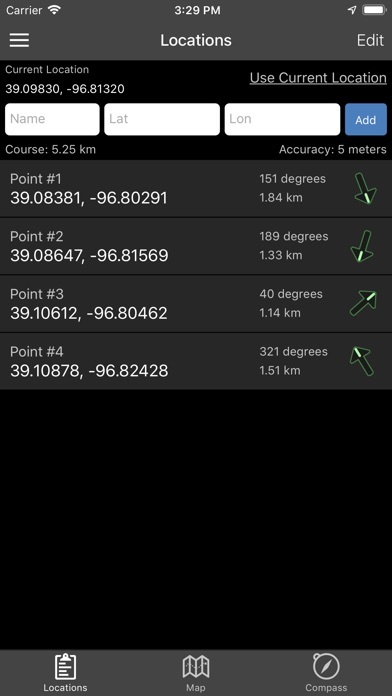 Displays distance/direction from your currentl location to all points, or between any two points. Download your Locations as a spreadsheet to save anywhere, or to share with anyone you choose. 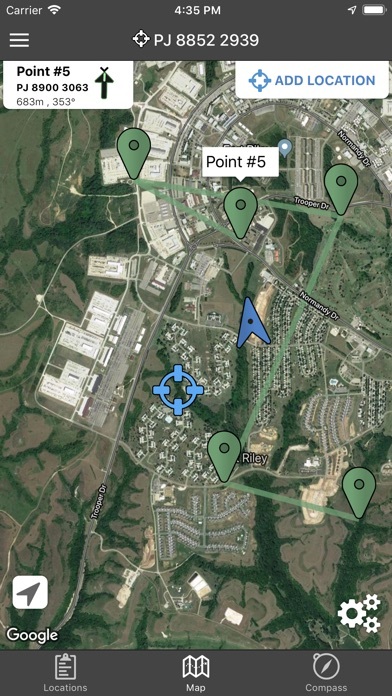 Import a large set of locations via the web import utility, available at: https://www.gammonapplications.com/land-navigation-services/import This app uses the Military Grid Reference System (MGRS) and Latitude / Longitude. Choose to display your locations as MGRS 10-digit, MGRS 8-digit, or LatLon Decimal. D:M:S can be input in the format DD:MM:SS followed by the appropriate direction (NSWE). 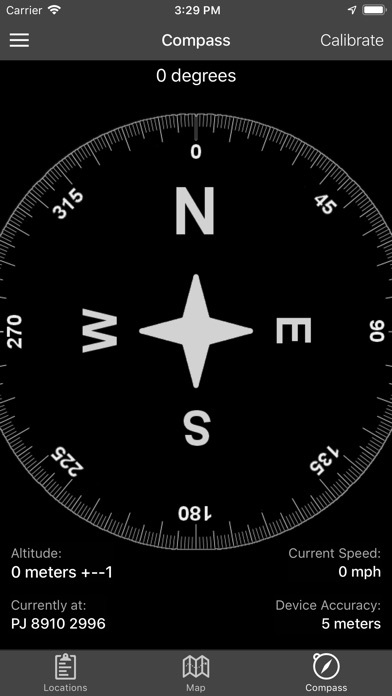 Default direction is N, W. DO NOT use this application while learning Land Navigation. 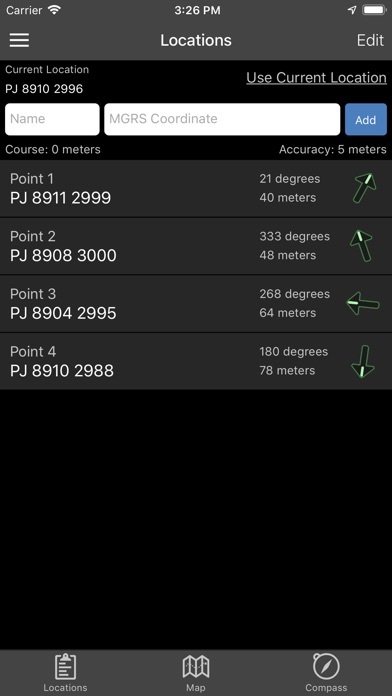 Land Navigation is a valuable skill, and should be mastered before using this application. Do not rely solely on this application for navigation, especially when lost. Always be aware of your surroundings. Smoked a few land navigation courses with this little app haha And it’s great for hiking, hunting, or off-roading. Just be cognizant of your data. If you’re in a bad reception area, your location on the map tends to lag then quickly catch up, giving you a bad day. I like this app but is now incompatible with the new iOS 10! I can't verify my points anymore by tapping on the pins! Please fix!! It's a paid app and customers shouldn't have to go through these issues! Would like to edit points and change colors of pins. 5 stars. Used this both before deployment and during. Works really well. Was able to pull up coordinates faster than my dagr, and got me to every point I needed. Punch in the grid and your off. Gets you were your going with ease. Would recommend to anyone for assistance with land Nav. Very basic very simple very easy to use. Was exactly what I was looking for. Set waypoints or locations and with no internet service will tell you the heading you need to use to get there.